In an attempt to sound just like my real-life hero Optimus Prime (HE IS REAL DAMMIT!) I’ve been smoking a lot of cigarettes lately. Which has had the side effect of giving me a slightly manlier voice and various forms of respiratory conditions. Still, I’m feeling smoother than the taste of my favourite death-stick, now that another Transformers game is on the way. And really, I’m okay with that. The Cybertron games are some of my favourite titles from the last generation of gaming, serving as adequate vehicles for all manner of giant robot action, coupled with some solid multiplayer. Plus you got to play as Grimlock, which was all kinds of win in my book. 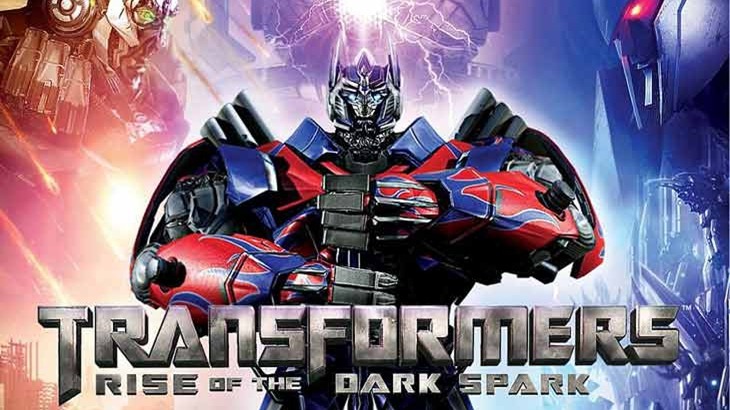 Edge of Reality is the studio behind Transformers: Rise Of The Dark Spark, which carries on the war between the Autobots and Decepticons across multiple timelines and dimensions. Hell, I may be a Michael Bay fan, but that synopsis sounds even better than the upcoming Transformers 4: Age of Extinction. And that film features Optimus Prime riding Grimlock into battle. The next Transformers game will be out in time for the film, naturally. There’ll be more than meets the eye when it arrives on PC, PlayStation 3 and 4, Xbox 360, Xbox One, Wii U and 3DS platforms.